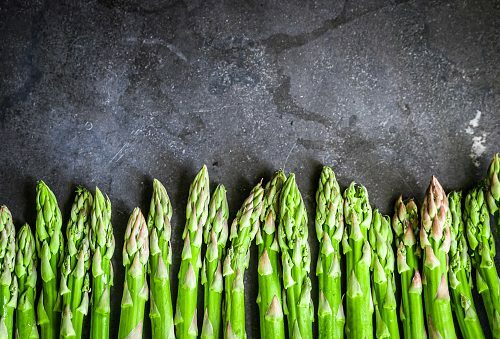 The prebiotics found in food like asparagus, oatmeal, and legumes could help you manage stress and regulate your sleep after a traumatic event, according to a new study from the University of Colorado Boulder. Acute stress can affect the gut bacteria within your intestines, and researchers set out to discover whether eating a prebiotic enriched diet would be able to limit this disruption and help subjects better cope with stress. Using rats, the team tested whether consuming prebiotics prior to a stressful event would impact the way the body responded. The rats were split into two groups, with the first eating a prebiotic rich diet for several weeks before being exposed to a stressful instance while the second ate their regular diet. They were then exposed to a stressor that was the traumatic equivalent of a car accident or the death of a loved one, and it was found that those who had consumed the prebiotic diet saw no stress-induced effects in their gut bacteria and were able to return to normal sleep patterns faster than the rats who ate a normal diet. Researchers plan to address how prebiotics affect humans after stress and examine whether they protect their gut bacteria and help them return to normal sleeping patterns. As there are no adverse side effects of incorporating prebiotics into your diet, Dr. Agnieszka Mika—who was one of the authors of the study—sees no issue with enjoying some extra asparagus or oatmeal. She stated, “So far no adverse effects from prebiotics have been reported, and they are found widely in many plants, even present in breast milk, and are already commercially available.” Adding these prebiotics to your diet could be the key to helping you better manage stress and get a good night’s sleep.